Step ahead in glass detection. THE Dyxim S Compact inspection unit available from Heat and Control , sets Dylog x-ray technology a step ahead in glass detection for the food and the pharmaceutical industries. Advanced design criteria lead to a much higher than usual image precision, even with low x-ray energy, allowing detection of glass contaminants down to a half size compared to the normal standards achievable in glass in glass detection. Like all Dyxim equipment, the S Compact can identify a wide range of foreign bodies, including glass, metal, stone, bone and PVC. 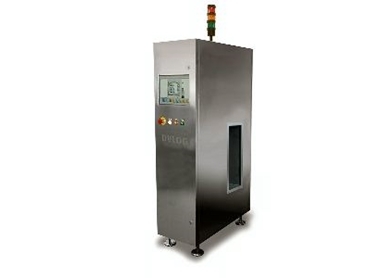 Dyxim S Compact is suitable for inspection of small rigid containers, made of glass, metal or brik pack, and pharmaceutical vials; contents can be of any type. The reduced dimensions of the S Compact machine guarantee the best installation solution on very crowded production lines.